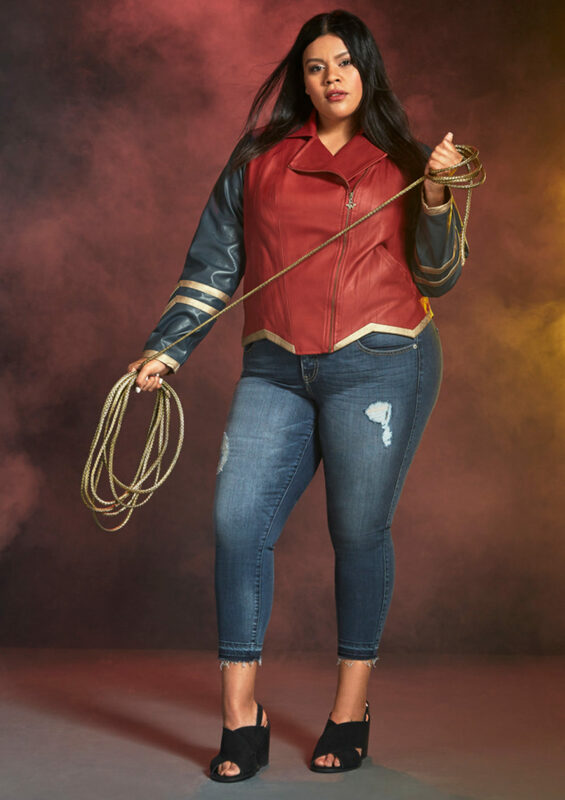 If you have been searching high and low for an excuse to get out your lasso of truth and start swinging it at people, then Torrid’s new Wonder Woman collection by Her Universe might be right up your alley. 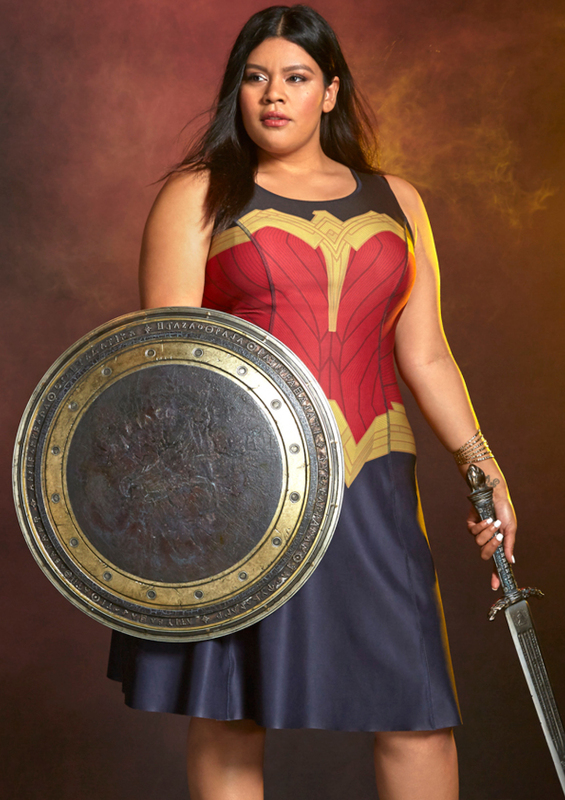 If you’ve been sitting by your window with a deep fashion-fueled longing ever since you saw the Wonder Woman trailer last summer, then you can now dry your tears, because Torrid and Her Universe have your back. 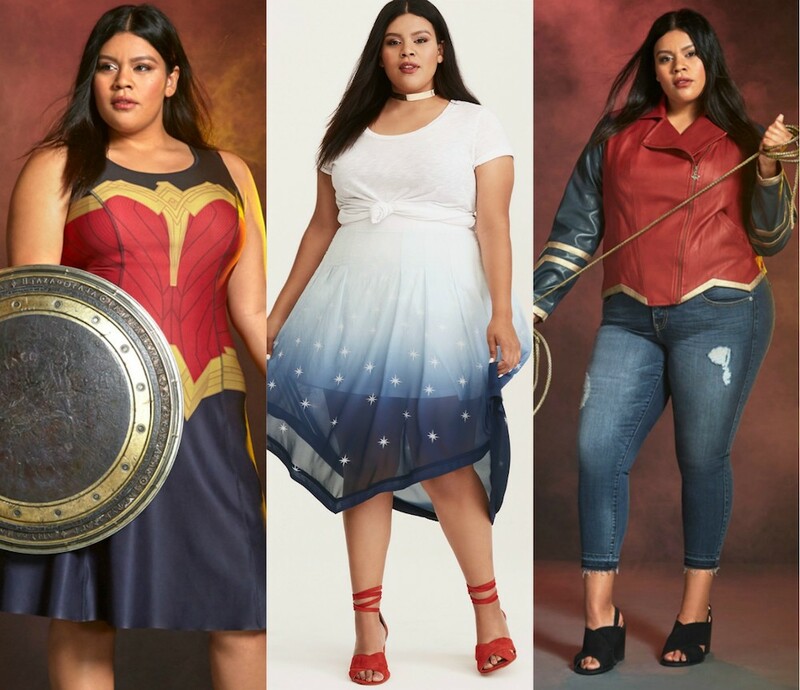 Dedicating threads to Wonder Woman feels very on brand considering the fact that Torrid has a Fantastic Beasts collection, a Harry Potter-themed clothing line, and even a plus-size Hello Kitty collection. 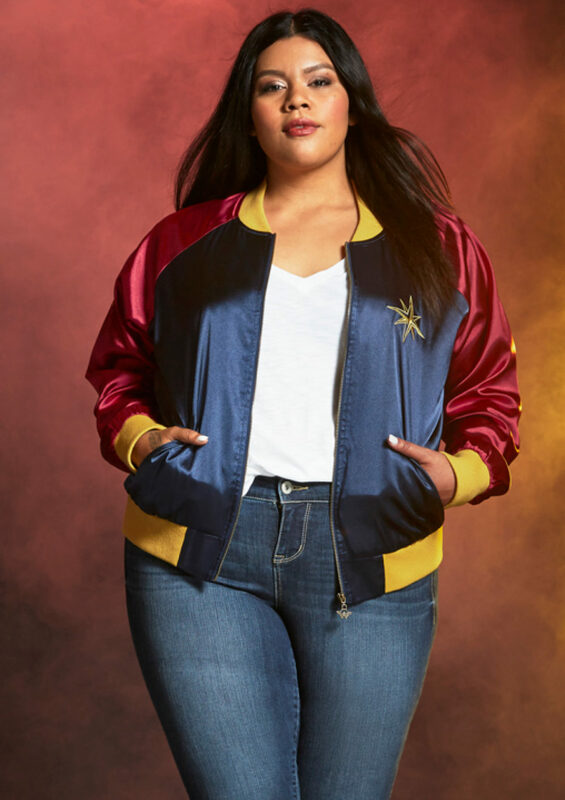 The Wonder Woman collection includes everything from rompers to tank tops to bomber jackets, with prices ranging from $38 to $90! So you can cover your body in layers of super power-inspired attire. 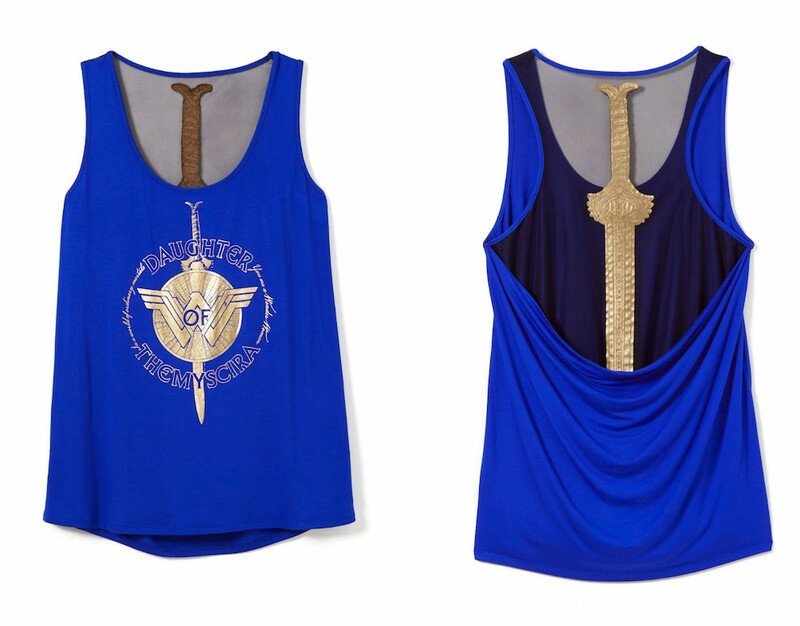 Now you can (not so) subtly announce your allegiance to DC Comics by wearing decked out Wonder Woman-themed outfits. We’re hoping and assuming this line will also imbue us with flying abilities. At least, we imagine we’ll be infinitely better at fighting, swinging our lasso, and imparting justice. 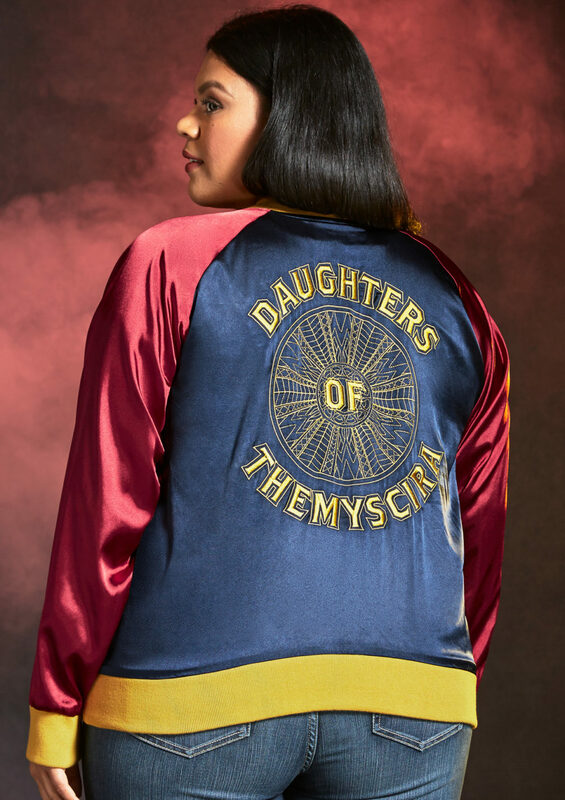 We also love that they picked the body-positive blogger Roxy Reyes to model this new line. Here are a few more pieces to get you ready for the movie, which comes out June 2nd. Doesn’t this shirt look like Diana’s in the movie? We can’t wait to rock this in the theater. 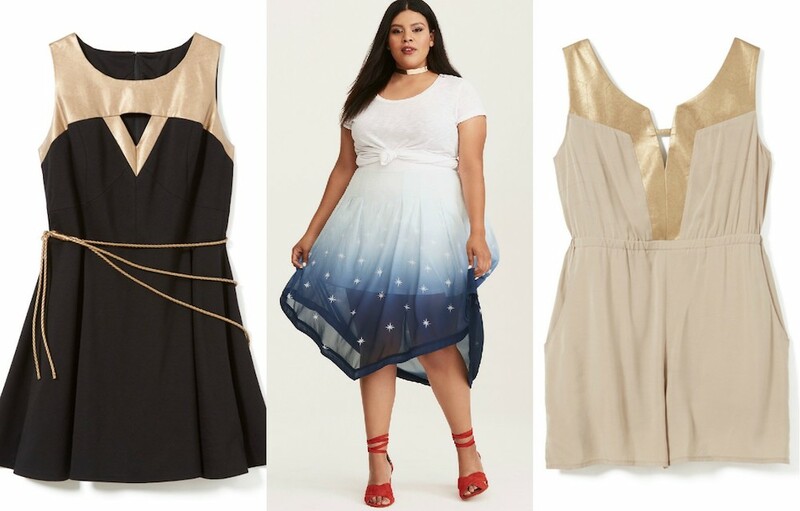 You can check out the full collection on Torrid’s website, to see if anything strikes your fancy!